Features :- FM13 is a unique multifunctional car FM transmitter that could be used with a wide range..
- FM13 is a unique multifunctional car FM transmitter that could be used with a wide range of smartphones, Its functionality combines a few options at the same time . - FM13 is mobile holder, that could be adjusted vertically to hold smartphones and has a 360 degrees . 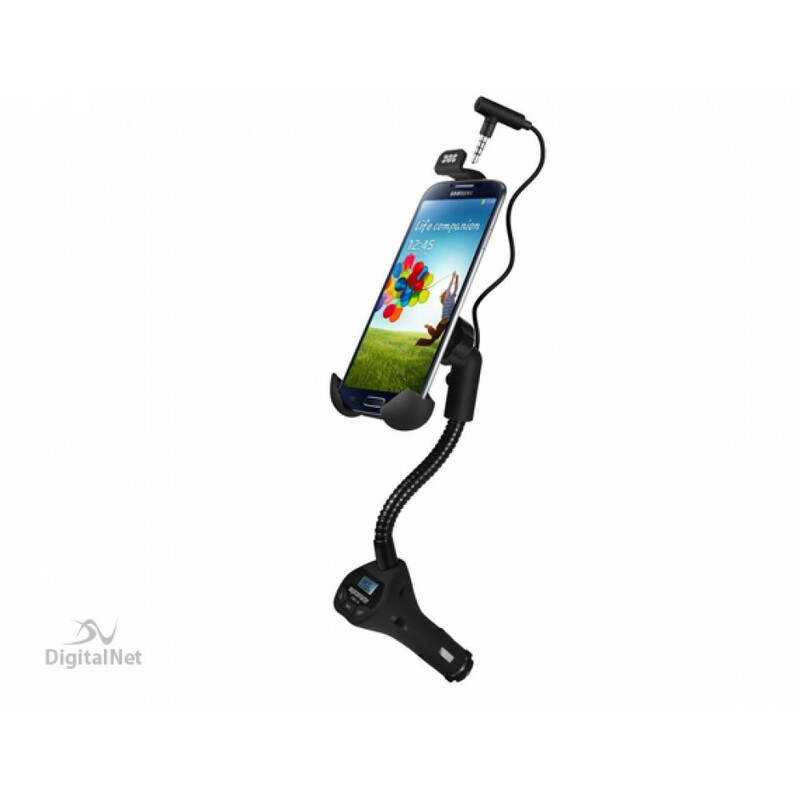 - Additionally, it has an audio cable that connects to the 3.5 mm port of any smartphone and together with its in-built mic provides you with a hands-free function . - Another useful usage is as a transmitter which converts the audio output into an FM radio signal that plays any music and phone calls . 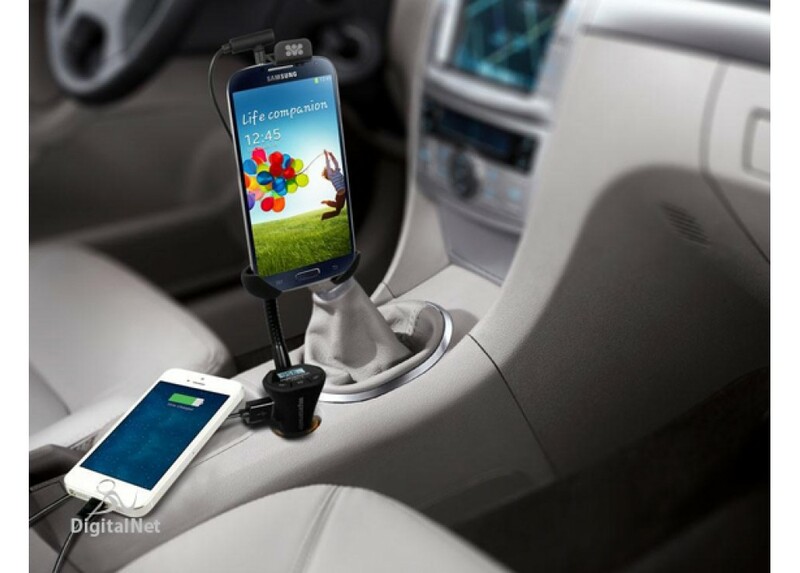 - The USB charging port and on/off button allow you to charge any USB chargeable mobile device inside the car . - FM transmitting range : 88.1~107.9 MHz . - Sound channel separation : 40dB . - Frequency response : 35Hz~20 KHz . - Microphone sensitivity : -46±2dB . - Audio Input the interface : 3.5mm stereo jack . - Input voltage : DC 12V~24V . - Working temperature : -15°C-50°C . - Charger output rating : USB 5V, 1A . - Dimensions (D x W x H) : 8 x 18.5 x 36 cm . - Weight : 295 g .